NPTEL - National Program on Technology Enhanced Learning started local chapter in our college from 2018 January. In this first session of our local chapter, 28 students have succeeded in different online certification courses with different grades. 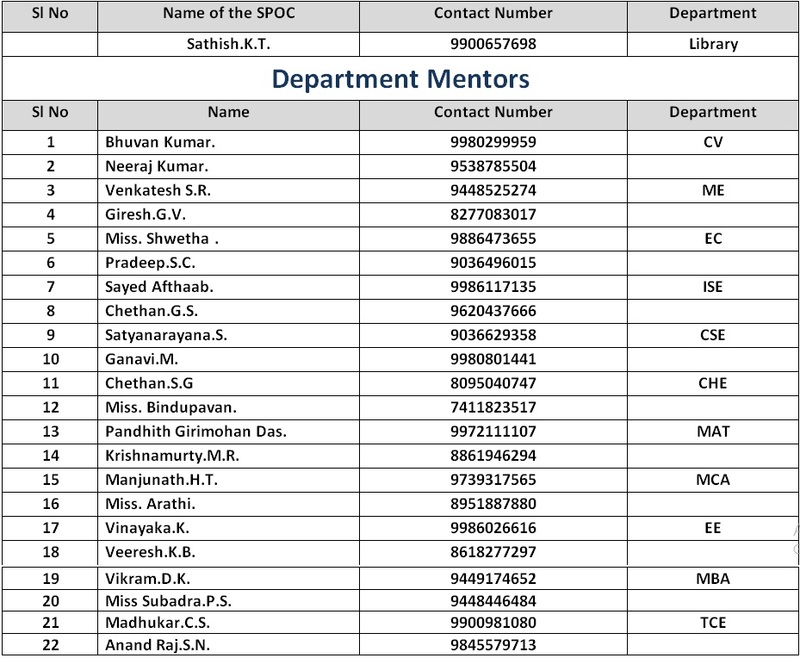 Accordingly, IITM has declared JNNCE-NPTEL chapter as active local chapter amongst local chapters of South India. The second session of this NPTEL progress is well started with students registration of more than 140. As a source of information and other than syllabus oriented, around 8GB of previous NPTEL course materials is stored in the Library. These materials are circulated it to its users as and when demanded by them. This NPTEL local chapter center is being run by Mr K.T.Satish (Asst Librarian) as SPOC. and Excellence means that we only trained staff for Innovative Teaching and Realtime Learning Process. One of the best places in our campus that we can boast of is our Library.. The college has well furnished A/C Auditorium, which is equipped with state-of-the-art audio visual..
JNNCE has well furnished lecture hall equipped with audiovisual equipment like Smartboards, Projectors etc,. Hostels are a home away from home. We at JNNCE provide you a decent stay and the best possible learning environment. well equipped spacious laboratories in all the departments so that student can..
JNNCE recognizes the importance of sports and recreation for the overall development of students' personality. The history of JNN College of Engineering is marked by events that have made it synonymous with quality education. Established in 1980 by NES, the College is affiliated to VTU, Belagavi and is recognized by the AICTE and Government of Karnataka.